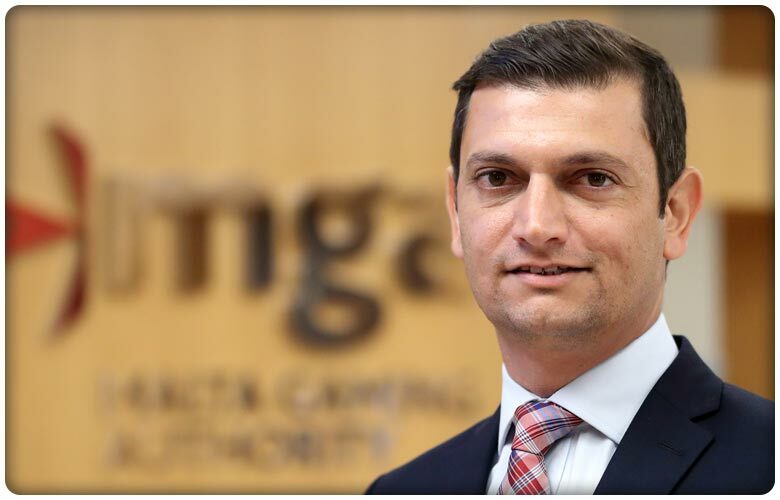 Bojoko sat down with the CEO of Malta Gaming Authority, Heathcliff Farrugia. We discussed the New Gaming Act of 2018, blockchain gaming, MGA's priorities for 2019, growing demand for iGaming workforce in Malta and affiliate licensing. Q: How does the New Gaming Act provide added protection for players in MGA licensed casinos? A: For us, the new law was an opportunity to strengthen what we had in terms of player protection, but we also came up with new ideas. When it comes to player protection, one of the most important measures we strengthened was the protection of players' funds. In the new law, player funds are considered as a separate patrimony. So, if there is a company in distress or going bust and there's a liquidation going on, the players' funds remain protected from any claim by the creditors of the licensee. We believe that in terms of players' funds, this is the maximum protection we could provide. We also added the "one-click away" rule, which means that now, online casinos and other operators are obliged by law to always have certain information available within one click from the home or game page. For example, the self-exclusion tool has to be available not more than one-click away from the page containing information related to Responsible Gaming. We believe that if a player is looking at information regarding responsible gaming, he/she should also be able to exclude him or herself very easily. Even though a number of operators already had this in place, we felt that with some others, players needed to navigate through various menus until they go to the self-exclusion tool. We believed this was unfair so we made it very clear that the tool had to be just one-click away. We need to be very careful that we don't end up in a situation where we include measures which are aimed at protecting players and then in turn, they end up having the opposite effect. An important aspect of the new law is the introduction of what we call "a duty of care for operators", whereby operators are obliged to monitor players who are showing patterns of problematic gambling behavior and to intervene when appropriate. There are some operators, whom I would say are leaders when it comes to responsible gaming. They have very interesting systems based on, for example, betting patterns and amounts to detect problem gambling behavior. With the help of these sophisticated tools, they can then risk-rate players on the basis of whether they are likely to develop a gambling problem. Let me also add that as a regulator we need to be very careful that we don't end up in a situation where we include measures which are aimed at protecting players and then in turn, they end up having the opposite effect. So, regarding this, we engaged Dr Mark Griffiths, a chartered Psychologist and Distinguished Professor of Behavioural Addiction at the Nottingham Trent University, to critically analyse the provisions within the player protection legislation, so as to ensure that what we were proposing is backed up with evidence. He assessed the directives and gave us very positive feedback, and even suggested a number of further measures which could continue to strengthen player protection. Now we are examining his assessment and working on its implementation. Q: Can you highlight the salient points of the new gaming act both for the general public and for the gaming industry? Who stands to benefit the most? A: Well I think the industry in general, will benefit. The players will benefit because of increased, more thorough, player protection directives. The regulator will benefit from the additional regulatory powers. For example, we introduced the power to conduct "mystery shopping". Previously, we were in a situation where if we wanted to conduct an investigation on a licensee, we had to log in through a designated account, hence reducing the effectiveness of our investigation. Through the new law, we also gave the power to licencees, or applicants, to challenge the Authority's decisions before the Administrative Review Tribunal, which is, naturally, totally independent from the MGA. If, for example, an operator applies for an MGA licence and we decide not to grant the licence, the applicant can now challenge that decision through this independent Tribunal. So, the whole process is less costly and time-consuming for the Operator, and improves the processes for administrative justice. We also modernized our licensing system so that an operator, like an online casino, can have a B2B and/or a B2C license and doesn't need to apply for multiple licenses for different brands. Q: Given what seems to be a crackdown on the industry's lax principles and the New Gaming Act which came into effect in July 2018, does the MGA plan on following in the UK's footsteps and implementing new rules and changes in regulation? For example, would you be making forfeitable bonuses (so that players have access to their deposit at all times) a must for online casinos? A: We are strong believers in the benefits that can arise when regulators share best practices among themselves. We always keep an eye open for what other reputable regulators do and we do meet with them on a regular basis to discuss different ideas. For the time being, forfeitable casino bonuses specifically is not one of our priorities, however no measure is off the table, and we continue to focus on making sure gambling is as safe and free from crime as possible. Last year alone we conducted 33 AML onsite inspections to make sure that operators were in line with the 4th anti-money laundering directive. In 2019 this will still be one of the main priorities and we have another 40 inspections lined up. Q: Is there an opportunity for regulators to apply blockchain technology to introduce greater transparency within these processes and the industry-at-large? Malta has dived headfirst into the adoption and regulation of crypto and blockchain and the existing iGaming business infrastructure seems ripe for this kind of implementation. A: As regulators, it's not that we need blockchain to have transparency, because licensees are already obliged by law to give us access to the data we need to achieve our regulatory objectives. This said, we are aware that some of our operators are looking at blockchain as a technology solution for some parts of their business proposition, whilst some others are looking at crypto currencies as a payment solution. However, whilst through our sandboxed guidelines for DLT we are allowing our licencees to test and learn in a controlled environment, overall it is still early to assess the impact of this technology on the gaming industry. Q: What's the biggest threat to Malta's iGaming success story? Will new regulators cropping up across Europe impact the industry in Malta, with companies shifting their operations to other jurisdictions? A: From our end, we see this as an opportunity to strengthen our collaboration with fellow regulators. This industry is cross-border in nature, so collaboration is extremely important. For us it is important to share the knowledge we acquired over the years, and to also learn from other regulators, and so we regularly meet to share and discuss best practices. In fact, recently we had an Irish delegation here in Malta, where we discussed areas of common interest, and have also recently signed a MOU with the Swedish regulator. For the time being, we are not considering licensing affiliates. Q: How do you see the iGaming job market evolving in Malta? There's a much higher demand for talent than the current supply. What kind of plans does the MGA have for addressing/supplying this labour and skills shortage with a skilled Maltese workforce? A: Overall, it is not the MGA's remit to tackle such issues, but locally there are a number of initiatives aimed at tackling this. Having said this the population of Malta is what it is, and with the pace of the economy, where the country is experiencing skill shortage in other sectors like health and financial services, the solution appears to remain that of importing talent. Q: MCAST is the first Maltese academic institution to offer a course in iGaming leading to a certified diploma. Is there any other academic co-operation we can expect in the future, perhaps with the University of Malta? A: Gaming Malta, an independent non-profit foundation set up by the Government of Malta and the MGA, is working on a student placement program that gives more opportunities to students who are studying technology subjects. They organise summer working placements and even extended training programs. We, at MGA, have also worked with University of Malta and started to recruit students in their 3rd year to give them job opportunities at the MGA. They get a very flexible roster which complements their studies. So, they would be studying at university but at the same time working with the local gaming regulator. We also know that there are some gaming operators who do something similar but independently and now through Gaming Malta they are trying to do this in a more organised manner. There are also some initiatives for example by MITA, the technology arm of the Government, who do the same with IT students. Gaming Malta are looking to have something similar but focused on gaming and they are planning to launch very soon. Q: And one question about affiliate licensing. You have mentioned before that it won't be necessary. Is this still your way forward? A: For the time being, we are not considering licensing affiliates. When an operator is using an affiliate, it is still the operator (the licensee) who carries the responsibility of ensuring that the whole operation is in line with the laws and regulations. Operators are allowed to outsource some of their services, in line with our outsourcing guidelines. Thank you, Mr. Farrugia, for taking the time to chat with us and providing this insight into how MGA is ensuring the overall health of the industry as it develops on a multi-national stage. Hope you enjoyed this interview and please, leave comments and/or feedback below. CEO of Bojoko/Good Game Ltd. An avid student of many different topics, though mostly business at the moment. Gets goose bumps every time Gonzo opens the golden gates of Eldorado. Clean Your Slate with gamban® Grand Designs of the Future: Casinos for Millennials The Best Casino Drinks: Our Hall of Fame How to Host a Casino-themed Party Join the Conversation!